1 Who are Fifth Harmony’s Members? Who are Fifth Harmony’s Members? Fifth Harmony is a girl group formed in July of 2012 in Miami, Florida USA, consisting of Ally Brooke (b. 7th July 1993), Dinah Jane (b. 22nd June 1997), Lauren Jauregui (b. 27th June 1997), Norman (b. 31st May 1996) and Camila Cabello (b. 3rd March 1997), who left it in 2016. 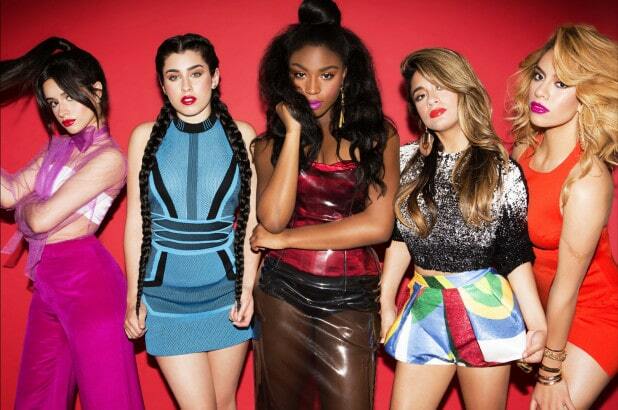 The group has released three studio albums – “Reflection”, “7/27” and “Fifth Harmony”. Hear us on @beats1official with @lalaromero! Let her know you want to hear #DOWN by using #Beats1Request. It all goes down Thursday at 5PM LA / 8PM NYC / 1AM LDN ? Ally Brooke, Dinah Jane, Lauren Jauregui, Norman and Camila Cabello appeared in an audition for the second season of the TV singing competition “The X Factor” as solo contestants. As none of them achieved major success, they decided to form the girl group called Lylas (Love You Like a Sister) in July of 2012 with the help of the judges Britney Spears, Demi Lovato, L.A. Reid and Simon Cowell, which they soon changed to 1432, and eventually to Fifth Harmony, which was chosen by the public. Thanks to their talent, the group subsequently finished in third place in the competition, which enormously increased their popularity and established their net worth. 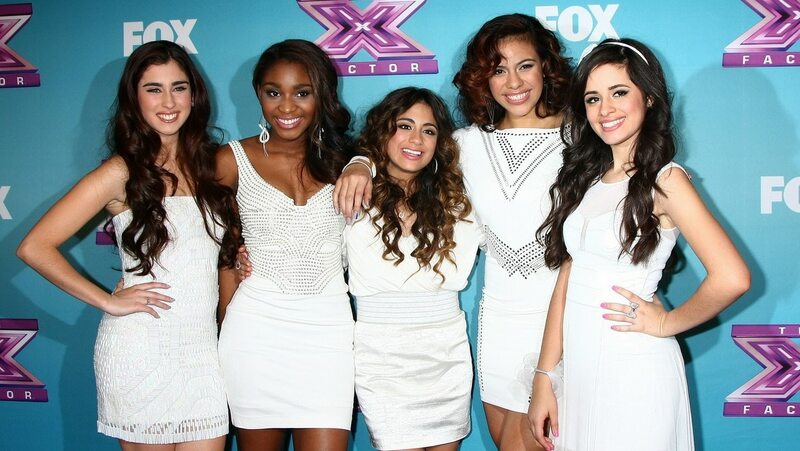 Following the end of the competition, Fifth Harmony signed a contract with Simon Cowell’s record label Syco Music in January of 2013, and earned the Next Pop Superstar of 2013 award. In the very beginning, they recorded various covers and uploaded them to their official YouTube channel, then in October of the same year, their debut EP entitled “Better Together” was released, and peaked at No. 6 on the US Billboard 200 chart. The lead single “Miss Movin’ On” reached No. 76 on the US Billboard 100 chart, and achieved gold certification. Fifth Harmony’s debut studio album out came in January of 2015, entitled “Reflection”, and debuted at No. 5 on the US Billboard 200 chart, as well as No. 8 in Canada and No. 16 in Australia, and gained huge commercial and critical success. The album was also certified platinum by the Recording Industry Association of America (RIAA), adding a considerable amount to net worth of the group’s members. It spawned such hit singles as “Boss”, reaching No. 43 on the US Billboard Hot 100, and “Sledgehammer”, peaking at No. 40 on the same chart. The hit single “Worth It”, featuring rapper Kid Ink, reached No. 12 on the US Billboard Hot 100 chart, and achieved three times platinum certification. In support of the album, the group went on the Reflection Tour, visiting cities across the US and in Europe, which helped to increase the sales of the album as well as their net worth. During the same year, they released the single “I’m In Love With A Monster”, which was chosen for use in the animated film “Hotel Transylvania 2”. Fifth Harmony started working on their second studio album, entitled “7/27”, in September of 2015 and the album was finally released in May of the following year, peaking at No. 4 on the US Billboard 200 chart, and topping the chart in Spain, and was certified platinum, supported with The 7/27 Tour. The album contained such hit singles as “Work From Home” featuring rapper Ty Dolla $ign, “All in My Head (Flex)” featuring Fetty Wap, and “That’s My Girl”, all of which were certified platinum and gold, increasing further the member’s net worth. However, Camila Cabello made the decision to leave the group in December of 2016, after which they continued to work normally, but as a quartet. To speak further, following the release of the second studio album, the group immediately began working on their third, self-titled album, announced with the single “Down”, on which they collaborated with rapper Gucci Mane, peaking at No. 42 on the US Billboard Hot 100, and being certified gold by the RIAA. In August of 2017, out came the album, which debuted at No. 4 on the US Billboard 200 chart, contributing a lot to the net worth of the group’s members. Thanks to their accomplishments in the music industry, Fifth Harmony has received a number of awards and nominations, including the Group of the Year award at the 2015 Billboard Women in Music, the Collaboration of the Year award for the single “Work From Home” at the 2016 American Music Awards, the Best Group award at the 2017 Music Choice, the Favorite Music Group award at Nickelodeon Kids’ Choice Awards from 2015 to 2018, among many others. The girl group has been active in the music industry since 2012, so have you ever wondered how much money Fifth Harmony has accumulated? According to authoritative source, it has been estimated that the total size of Fifth Harmony’s net worth is over $10 million. Aside from album sales, another source is coming from their concert tours, and performances at various events. Most recently, the group’s members announced that will go on hiatus by the end of 2018 in order to pursue their solo careers. Each of them is already working on solo singles, while Camila Cabello has released her debut self-titled album, which topped the US Billboard 200. Ally Brooke released the single “Perfect” along with DJ Topic, while Norman collaborated with Khalid on her single “Love Lies”, which peaked at No. 43 on the US Billboard Hot 100 and achieved gold certification by the RIAA. Meantime, Dinah Jane featured in the single “Boom Boom” along with Daddy Yankee, RedOne and French Montana, and Lauren Jauregui has featured in several singles. In addition to their involvement in the music industry, in their spare time the members of the group are active across many of the most popular social media sites, including their official Instagram profile and their official Twitter account. Moreover, they also have their own website, on which they announce forthcoming projects and concerts. The group is still based in Miami, Florida.